Egyetlen ottani ibolyafajt sem írnak. 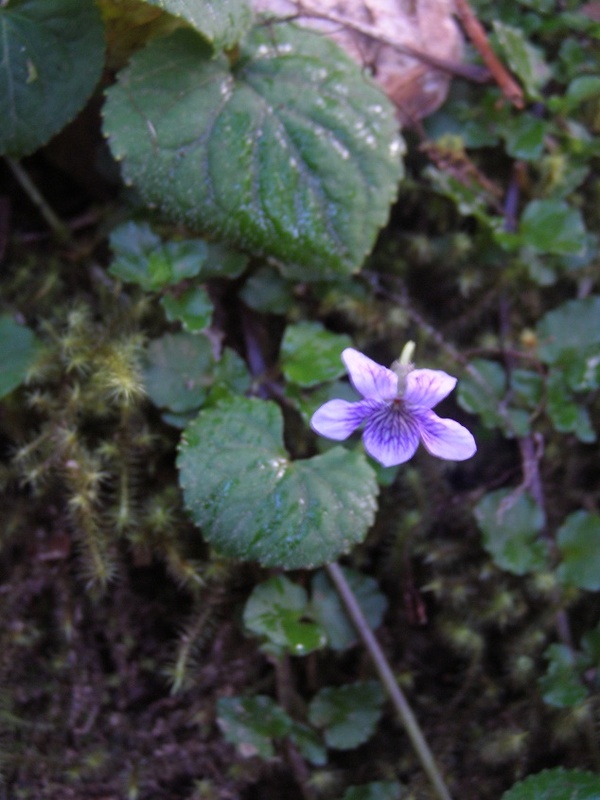 Viola domingensis Urb., Symb. Antill. 7: 287. 1912. Distribution: Endemic to Hispaniola. Common Names: Violeta (Dominican Republic), Violette, Violette des jardins (Haiti). References: 5, 7, 30. Viola linearifolia Vahl = Hybanthus Imearifolius (Vahl) Urb. Rico), Violet (Virgin Islands). References: 5, 7, 58, 61, 131. Viola patrinii Ging. in A.R de Candolle, Prodr. 1: 293. 1824. Distribution: Exotic in Jamaica. Reference: 2. Martinique, Nevis, St. Kitts), Central America, and South America. Common Names: Faux-ipeca, Violette, Violette-montagne (Lesser Antilles). Reference: 1. Viola tricolor L., Sp. PI. 935. 1753. Distribution: Exotic in Cuba, Hispaniola, and Jamaica. Common Names: Pensamiento (Cuba), Pensamiento (Dominican Republic), Pensee (Haiti), Heartsease (Jamaica). References: 2, 7, 132.